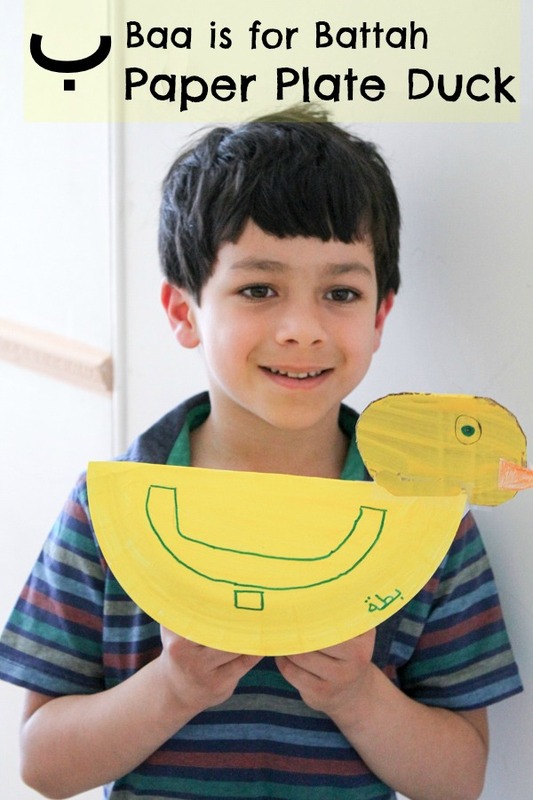 We are continuing our Arabic alphabet crafts with the letter Baa, and a paper plate duck craft. 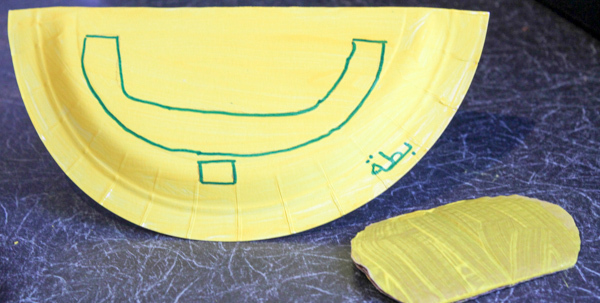 If you missed the first in our series, then check out our Alif is for Asad paper plate lion here. 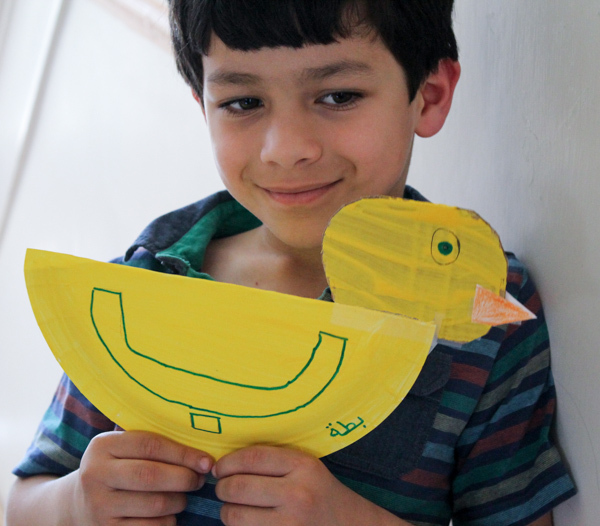 For our ‘Battah’ (duck) we used a folded paper plate, to resemble the shape of the Arabic letter B. 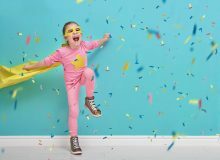 Using paper plates folded in half is always a quick and easy way to make paper plate animals that stand up by themselves and rock back and forth, and makes a nice change from the flat paper plate crafts. 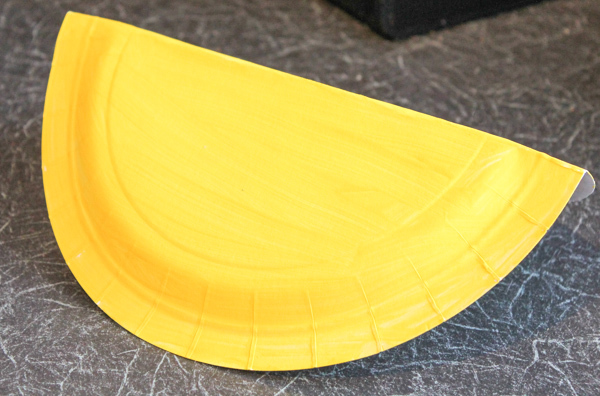 Our paper plate duck is quite simple, you can add extras details and feathers if you wish. As you can see, it will now stand up by itself, and this will make the body of the duck. 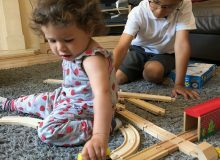 The curved semi circle shape is a perfect fit for the letter Baa ب so write a large Baa for battah in the middle of the plate. We did this in bubble writing. You could decorate the inside of the letter shape too. Write the word Battah along the side too to practice the word. We cut another piece of card to use for the ducks head. Paint this yellow and add a few details like eyes and a beak. We attached the ducks head with a bit of cellotape. 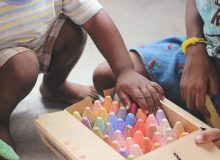 And there you have, your super simple rocking duck to help learn the letter Baa. 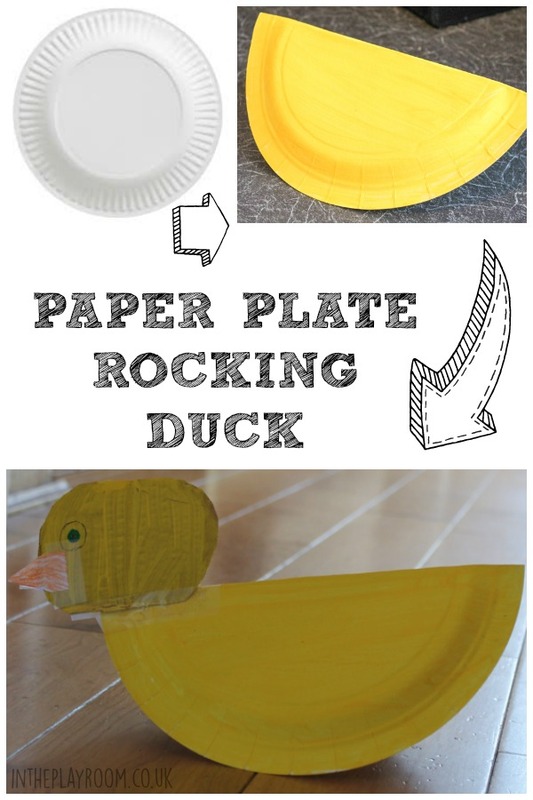 If your kids are not learning Arabic, you can still use this idea to make the base for a paper plate duck, and decorate however you like.